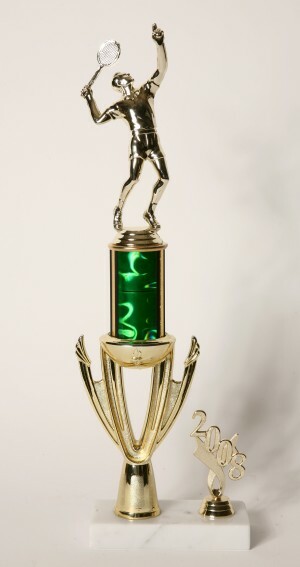 This popular tennis trophy has a vibrant green column and the event’s year on the side. The tennis player is getting ready to serve an ace. Not what you are looking for? View more options on our tennis trophies page.